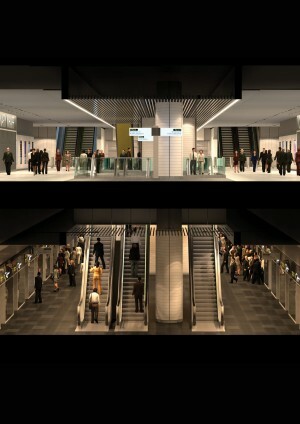 The Planning function in Crossrail supports the overall delivery and reporting requirements of the business. The planning methodology is detailed in the Planning and Scheduling Handbook and has been fundamental in enabling the development of an integrated delivery schedule and consistent reporting for the programme, supporting effective decision making by senior management. Having access to current information is key on any programme. 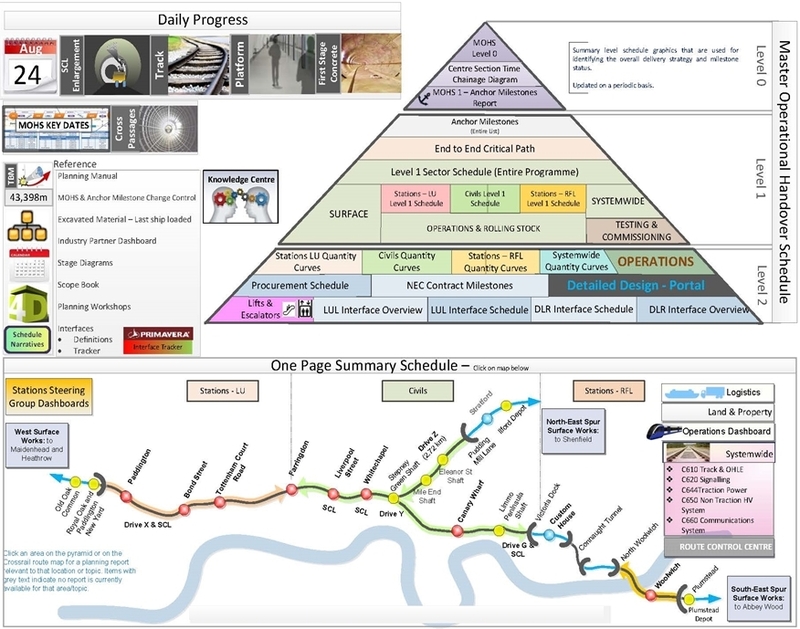 Crossrail developed a Planning Page (shown above) on the intranet such that the Planning reports and data were more widely available across the programme. Planning of detailed design is often seen as abstract and difficult to measure progress against. A Planning Design learning legacy paper describes how Crossrail, in conjunction with the V-Lifecycle (Validation and Verification) technical assurance process, developed a detailed design programme in Primavera P6 and lessons learned in the capturing of progress and performance from contractors and the importance of communication at all tiers of the planning function. 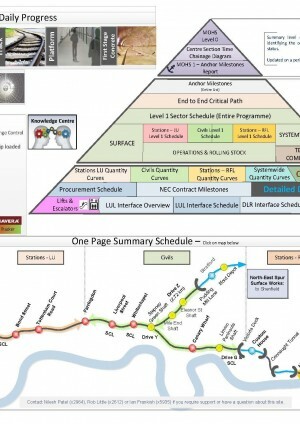 Identification and definition of interfaces has been critical to the success of Crossrail so far, especially given the number of different Industry Partners involved in delivering the infrastructure. An Interfaces learning legacy paper describes the importance of Anchor Milestones and Stage Diagrams in defining the strategic interfaces together with the use of an Interface Milestones Schedule in tracking the forecast deviations against baselines. 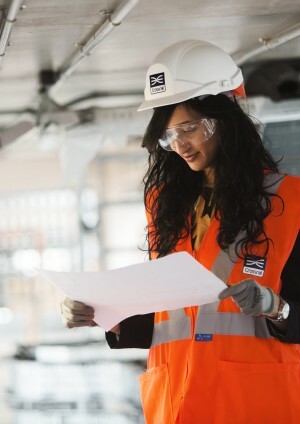 Reporting is a necessary requirement for all projects and developing the methodologies adopted by Crossrail for schedule management and reporting has been key to the success of the programme. A Reporting learning legacy paper describes lessons learned around the importance of periodic reporting cycles, establishing anchor milestones and annual rebaselining to realign common objectives and interfaces. 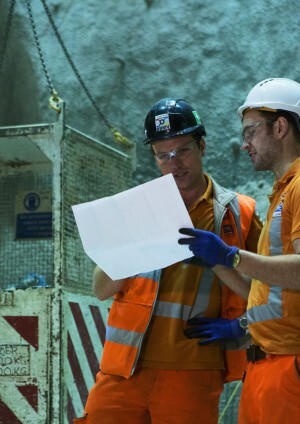 A further learning legacy paper on Crossrail’s Commodity Monitoring and reporting captures the importance of establishing early on key commodities that were programme critical and the monitoring and reporting of them to facilitate programme wide decision making in the delivery function.